Making a blog is cheap but if you want a successful one you must invest in better tools. I agree you do have to invest, as investing in tools will save you time and make your blogging more efficient and attract more traffic (and the more targeted traffic you have the more income you can make). So here I share with you the tools and plugins that I use on this blog to make a full-time income. There are hundreds of free and premium (meaning you buy) to choose from and it really comes down to what you want from a theme. Without doubt the best theme I have used and the theme this blog is built on is using the Canvas theme from Woothemes. It’s just so versatile and easy to use. Try it…you will not regret it. I’m mentioning Market Samurai again because not only can you use it to find your initial targeted keywords for your blog…you can also use it for the best keywords you want to target for each post. And you can use it for your related ‘tags’. Using the best keywords for each of your posts will generate more free traffic – find out how to get this traffic by investing in Market Samurai. Get invaluable keyword insight and stats – they offer a free trial and a number of helpful videos to get you started. Video is an essential part of successful internet marketing, so make sure you have a good camera, microphone and headphones. There’s no excuse. You can get great quality products for a low outlay these days. A series of well-made videos will bring your blog tons of traffic. Sound quality is as important as picture quality so don’t skimp on the microphone / headphones. There are too many great videos on YouTube that you can’t hear properly – don’t make the same mistake! Camtasia has all the tools for creating professional videos without having to go to film school! 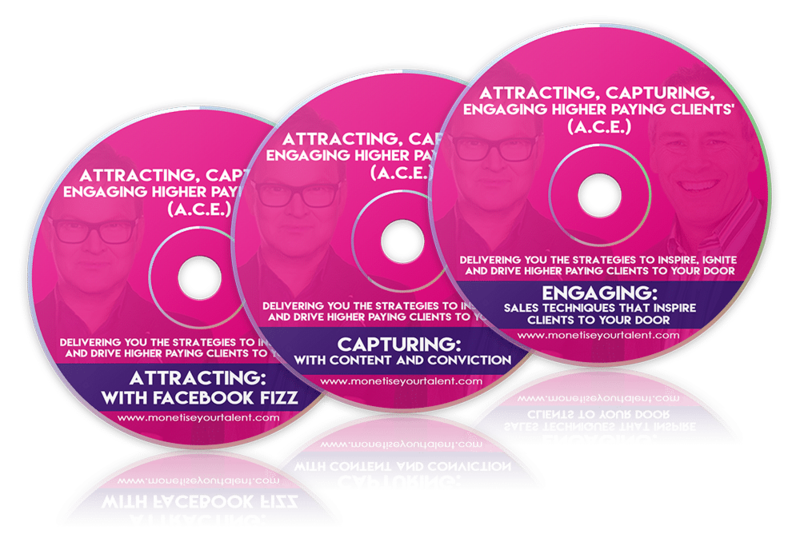 You will soon be making videos to train, educate, and sell more. Few people will buy your product on the first visit, and if you can capture their e-mail addresses you can build a list (we talk about list building later in the series) and start an effective e-mail marketing campaign. Regular emails also act as little reminders about your blog. To do this you’ll need to pay for an auto responder service. Aweber is probably the most well respected, but there are many others to choose from. An autoresponder will save you many hours of hard labor. All you do is compose a series of e-mail messages that are delivered at pre-set times on specific days or intervals. You can also send out a monthly newsletter through the service. I’ve included this one because internal linking your blog posts is great for SEO purposes. And this plugin makes it easy. Adds some extra security to your WordPress set-up. Only pings the ping sites when you publish a post and not when you edit a post. Without it you could be classed as a ping spammer! Helps improve the security of your WordPress installation. Automatically adds alt and title attributes to all your images – this helps with SEO. Speeds up the loading speed of your blog. I don’t use this plugin for backing-up. I use it to automatically optimize the database files. See the Backup Buddy plugin (below) I use for backups. Reduces the size of image files and improves loading performance. Useful if you have a large number of graphics. There are numerous SEO plugins to choose from and the majority are excellent. From day one of my blog being built I’ve been using the All-In-One-SEO plugin but recently I moved across and started using Yoast’s WordPress SEO. It’s pretty complex and involved numerous settings. Get the settings wrong and you could be penalized. But I like it and am really pleased I moved across. Imagine creating a blog and your host goes out of business or you do something so bad your entire blog gets deleted? Or you get hacked and lose all your data. The alternative to suicide is Backup Buddy – a fast an easy way to restore your blog. If you decide you hate your host’s lousy customer service Backup Buddy will also quickly migrate your site to another host. CommentLuv Premium is a great plugin that encourages comments, stops spam comments and creates backlinks. MaxBlogPress Ninja Affiliate is not only great for making some affiliate cash, it can also help with building internal links from blog post to blog post. You can use the same plugin to set-up keywords that automatically link to other posts on your site. What that means is you are giving your posts extra automatic Google link juice! If you want to make SEO much, much easier, then use ScribeSEO before publishing your blog posts. This plugin removes all the SEO complexity and you’ll achieve higher search rankings and increase the targeted traffic to your site! As stated above these are the tools and plugins that I use to make my blog as successful as possible. Unfortunately you do have to invest and these are the best tools I have personally benefitted from. How To Make A Blog Part Seven: Are you Content with Your Written Content? i am a new blogger and want to grab huge traffic. your post is awesome and contains all the information i need to do this. ”keyword research” is the one point i always hear is a great way to improve traffic stats and graphs. nice post with great info. I’m glad you like the post – good luck in your new journey. Andrew recently posted..How To Make A Blog Part Ten: How To Market Your Blog To Generate Income? Ohhh, great list! I’ve got a lot of those already, and plan to add a few more asap. Thanks! Great tools. Now I can earn some extra money with free tools. Great article, thanks for sharing. 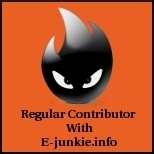 i am deeply satisfied with this article and it have a great information about new bloggers. since i am a new blogger so previously i am not aware with some plugins like, wp cache, ping, image friendly plugins. but thanks to you for providing such information. I hope the plugins make a difference to your blog…good luck! I am a new blogger (just 86 days old) but I already have 64 posts up there on my blog. Inspite of that, the traffic is not as good as it should be. I got an SEO report made, and I am told that I need to work upon my titles. Can anyone here help me with the titles? Creating enticing titles takes practice. Both will help with titles and seo. Try all-in-one-seo-pack or Yoast’s WordPress SEO. Using these tools can monetize our site to make money easier. I’d like to thank the author for sharing the useful information. Thanks for the insightful posts, I am going to try to implement some of these strategies. Great…let us know which ones work for you! This was a very interesting read. Thanks for taking the time to analyze and explain the hows, whys and whatifs rather than just stating what your blog made. The Text link ads site is something I had not seen before – thanks – it looks like something I need to look into more. Those plugins are really worth trying. It is always considered to use premium products while starting a blog. Because, premium tools increase the quality of the blog and even provides awesome user experience. So, i always consider using premium one’s. What premiun plugins / tools do you use? Nice plugin list, I use almost all of the free ones you listed above and some premium ones like commentluv. Joseph Adediji recently posted..How to Get Your New Blog Indexed in 24 Hours! Just starting out in blogging, so info like this is useful. I’m mostly interested in getting my thoughts out there and getting people to read and comment; earning money from blogging is secondary. Wow, this is a really cool FREE tutorial to earn some money by blogging. I am going to check out the CDN more later. keywords and premium themes are the first most important tools any blogger should make use of. thanks for every additional set of information that can help in increasing my traffic. thanks for sharing all valuable information. After a premium theme and keywords, what would you invest in next? Very nice and easy tutorial for making full time income on a blog. Thankyou. It is very informative and worth reading and implementing too. These steps helped me so much. What action will you be taking first? Fabulous post Andrew. Your list contains most of the important things that a must for any blog to be successful. I am using some of these tips right away…. What specific tips will you be using straight away? Hey Andrew, thanks for sharing these awesome resources. I have’t tried using CDN, maybe it’s time to give it a shot and see the improvement that it will bring. Thanks for the share Andrew. A CDN helps the loading speed of my blog. Worth a try. Hi I am almost using the same. I am using premium Freshlife theme. Plugins almost all the same but I use WordPress Firewall to protect my images and content. Thanks for this awesome post. I’m just entering the SEO waters and learning to navigate them with ease (hopefully). I’ll be following your course closely and am confident I will obtain valuable knowledge. With everyone posting about this topic, yours seems the easiest to understand and put to use. Great – I hope the blog series helps. Although CDN is a great idea, it certainly adds to the amount of expences one has to bear for starting a website. The same goes to most of the paid tools, because for those who are non-professional always start blogging thinking about instant money. We all know that this is quite not the case most of the time. I understand money can be tight whne you first start out. But for a couple of dollars a month for a CDN, you could reduce your loading time by a couple of seconds. That extra speed might bring in more income. Wow! Andrew great article you gave complete information on how to make a blog and earn income. Great dude…….. It’s really helpful for all the bloggers. Hi Andrew, Your article has great info on how to make a blog and make full time income. It is very useful for me as I am a newbie. I was researching on such topics and I found your article. Thanks for the complete info. very well and nicely written article. I have done mistakes in my blog i have used free themes and even free plugin. But after reading you article i am going to purchase premium theme. Thanks again Andrew for sharing such article with us. What premium theme are you going to purchase? I have already read most of your points somewhere else but CDN is the absolutely a new thing that I came to know. It looks awsome and cheap too. I will surely try it. Having a CDN is worth the small investment – it can really improve the loading speed of your site. Thanks for the usefull information! I try to learn as much is a can about Online Marketing. I have a question. If I set up a blog, how many times a month do I have to write a new article on my blog? The camera is a very good idea because people are very visually orientated. Great! keep up the good work. There is no real perfect answer to your question. The more content you have, the more search engine traffic you should get. Which means you should blog as often as you can. I would say minimum, once a week…i.e. 4 times a month. Of cousre, more would be better! Thanks Andrew for the quick reaction! 4 Times a month is achievable, i’m going to write some articles. Great post Andrew, it sounds like you know what you are doing. I didn’t see you suggest google analytics anywhere and I think for those trying to see what effect their marketing would have on their new blogs this is essential. If an oversight then I am glad to mention it here. I did mention the plugin ‘Pro Blog Stats’. The plugin includes Google Analytics along with numerous other stats – all delivered to your WP dashboard. Wp smush.it is not able to reduce the size of images google page speed wants thus giving us low score on page speed. do you have any other idea to improve this. Waiting for your kind reply. Try optimizing the images off line – before you upload. Use Ifranview. Just stumbled on the part 6.. I am gonna digg the previous series… I believe it will be worth!! I hope you like the whole series! Keyword research is one thing I find very stressful to do. I guess with the emphasis laid on it, I just have to change.